A while back I put together a post on Airdrops, what they are and how to partake in an airdrop and the post has had an overwhelming response with literally 1000s of visitors wanting to get in on this free cryptocurrency action. 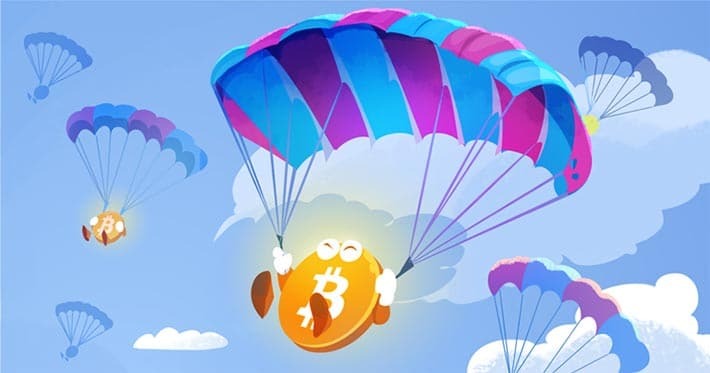 If you don't know what I'm talking about or you've never heard of an airdrop before I encourage you to check out our previous post - How To Earn Free Cryptocurrency With Airdrops As an Airdrop hunter myself I realise the problem for many its keeping track of when they need to jump in. Since there are new ICO's popping up every day it is how do you keep track of when they are running, which phase they are in and when Airdrops, start, finish, what user actions to take and when do allocations happen. Tip: I often post about the most interesting airdrops on my Steemit page if you're keen to check it out. Recently acquired by Coinbase, earn.com is a survey tool that pays users for their responses in Bitcoin. Sign up to earn.com and subscribe to the airdrop list and you will be notified via email or the app on the latest airdrops. You can also save your wallet address and telegram address for quick application and is personally one of my favourite ways to subscribe to airdrops. Airdrop alert has become one of the most trusted sources of Airdrop news on the internet and any airdrop hunter looking to get into the game should subscribe to their newsletter or Join Airdrop Alert on Telegram You can also check out their site for upcoming airdrops and make a note of the ones you're interested in. Reddit has two subreddits dedicated to airdrops; this is also not an official source please make sure you do your own research on the airdrops mentioned here. If you're not keen on the active airdrop chase and want the info to come your way, then I suggest you check out the Kyte app. Kyte is the latest addition to the ChainLabs.ai toolbox, bringing you cryptocurrency airdrop alerts directly to your Android or iOS device. Kyte simplifies the process and provides you with all the information and the steps required for you to get your hands on some free tokens. The app also alerts you when new airdrops are available so all you need to do is sit back and wait for the alerts to come through. You can also manually search for the most recent entries and the hottest airdrops of the weeks with the icon tabs at the bottom. To stay on the safe side set up a separate ERC-20 wallet with MyEtherWallet or Metamask that you use only for airdrops. If you're into EOS, Stellar or NEO airdrops I encourage you to create a separate native wallet with their software in order to collect your airdrop tokens. Now that you're fully equipped for airdrop chasing I wish you happy hunting. I hope you find some valuable tokens on your quest enjoy collecting free cryptocurrency.